Pizza hut style garlic bread with desi ghee! Look this post I mean recipe sorry sorry this bread is very very addictive. And yes it is for those ardent garlic lovers who can eat garlic without any single fuss. I personally ignore those drama people who can eat garlic or onions in pizza like tonnes in restaurants but in house they become garlic intolerant. Anyways, so all u need is five ingredients only to make this superb garlic bread with a toaster. 1- Melt desi ghee in a bowl very well.It should be real hot to touch. 2- Add salt, black pepper powder and finely grated garlic to desi ghee. 3- Smother bread pcs from one side or both sides. 4- Preheat the toaster to full than put it back to 2 number. 5- Insert the toasts. After one minute flip the sides. 6- Keep checking after 30 seconds. 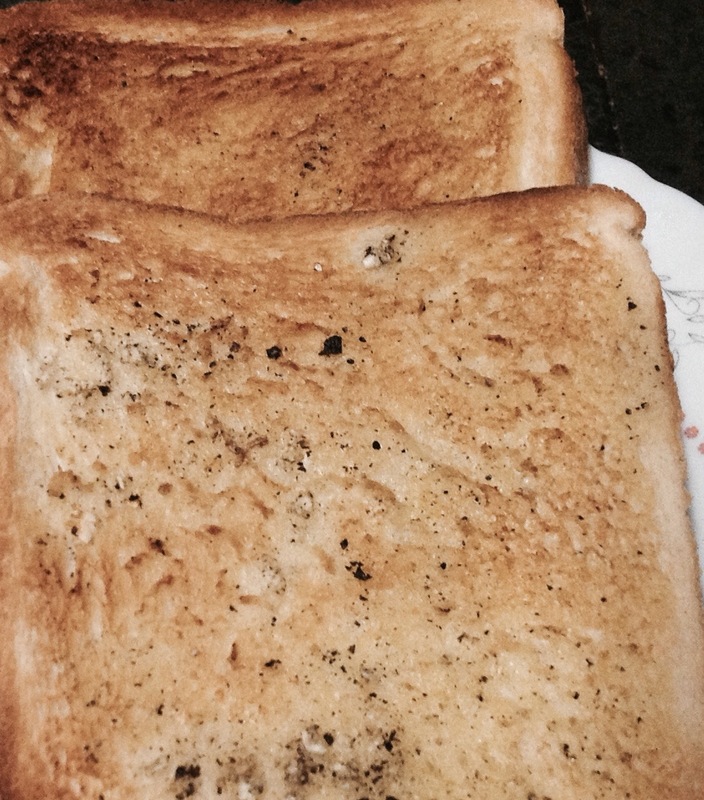 7- Toast till golden brown. * Keep checking the toasts. Oh! These are lovely Prachi.